Facebook M is the new voice-assistant in Messenger app. Facebook M is the new voice-assistant in Messenger app. M, a personal digital assistant inside Facebook Messenger app which will complete tasks and find information for users. Facebook is testing M, a personal digital assistant inside its Messenger app which will complete tasks and find information on behalf of users. David Marcus, Facebook Vice-President of Messaging, shared the announcement on his Facebook page. M is powered by artificial intelligence. News that Facebook was testing its own personal-assistant codenamed MoneyPenny was first reported by by online tech magazine The Information in July. While Facebook has not revealed more information on when M will roll out on a bigger scale, Marcus in his post wrote that currently these are early steps and that Facebook will wants to “build M into at-scale service”. 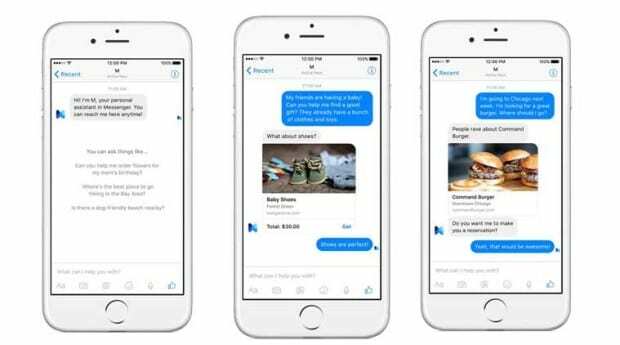 Facebook M is not the only company looking entering the ‘personal assistant’ space. Google Now, Apple’s Siri and Microsoft’s Cortana are all getting some serious attention from their companies. At the Google I/O this year, Google Now was given a boost with Now on Tap and Contextual search features. Now users don’t have to leave an app when they want to search for some information, via Google Now. Additionally an email from a friend about dinner at a restaurant, will see Google Now prompt a user to make a reservation at the particular place. Siri in iOS 9 will come with Proactive assistance, which will now automatically add invites, reminders a user’s calendar, the ability to search in natural language. Facebook M it appears will actually offer to buy items, get gifts delivered, and make real appointments for a user, which could put it ahead of the game.